A sunny bank holiday weekend?! Surely not! Well it was sunny on the Isle of Wight – really hot and sunny, bright red nose and panda eye sunglasses mark sunny… Drinking chilled rose all day sunny. You get the message. Now being the fair skinned ginger scamp that I am there is a problem with drinking rose all day in the sun – delusions. I, Miss Annabel Exercise phobic Hunt, have signed up to do a half marathon. Come the end of September I will be seen running around some part of Greenwich to a number of trendy DJs. So this week should have seen the start to my rigorous training programme. But, well, I had to go out for a dinner a couple of times, and well, I haven’t picked up my trainers yet…. SO to make up for my laziness – I cooked and I’m writing a blog post! 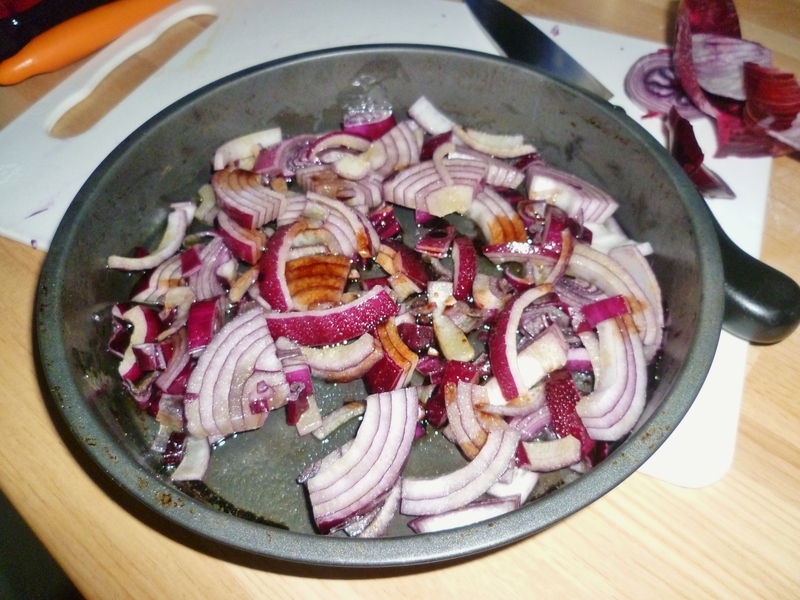 While the pastry is baking roughly chop the red onion and courgette. Halve the tomatoes and place in a baking tray with the garlic. Liberally drizzle with olive oil, salt and pepper. 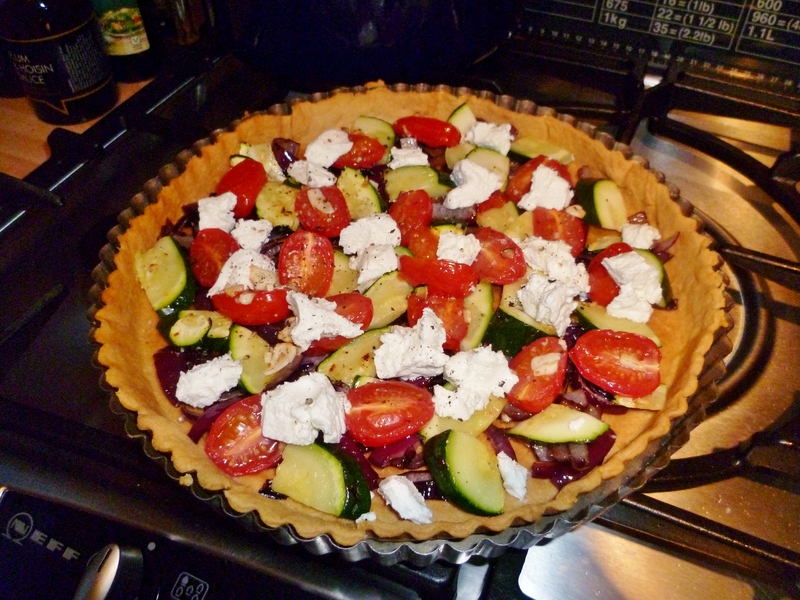 A a teeny drizzle of balsamic vinegar too. 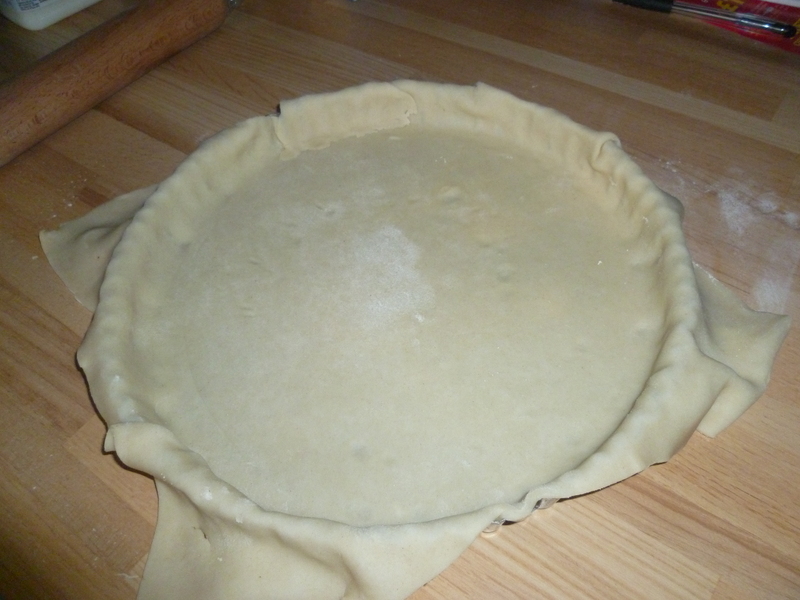 Once the pastry is blind baked, remove the beads and spread the vegetables out in it – if you were being cheffy you could ‘arrange’ them. If not, just ‘make look nice’ and plop lumps of the goats cheese in the case as well. Thanks! 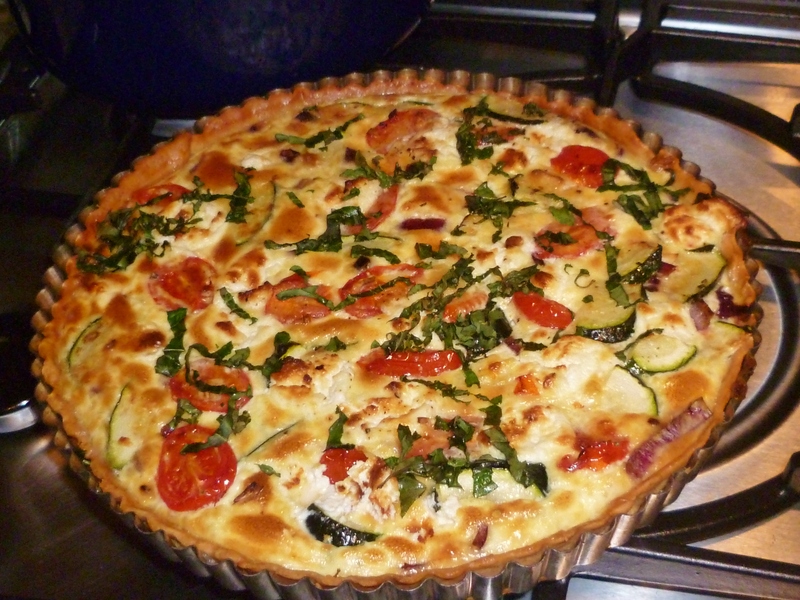 You should give it a go, it was a bit of a fridge raid recipe, but definitely worth it! Will try and do some more veggie recipes. There is a new book out called Vegetronic by Alexis Gauthier – you should have a look at that, it’s fantastic! Touch wood. No… But I have 90% of my blogs backed up because I write them in word 1st because my laptop is so old and dodgy. Must have been a nightmare for you!